It's impossible to overlook the fun that you see all these guys having, and their hearts are all in the right place. We all know that Don Coscarelli created a masterpiece with Phantasm. As the sequels came and went, the dark dream world of the original film became both strengthened and weakened with films of varying quality, and Reggie (Reggie Bannister) the ice cream man became a dude that loved picking up hot chicks while fighting hooded monsters and the Tall Man (Angus Scrimm). As the years rolled by, the budgets for each successive franchise installment dwindled noticeably. A few years back, Coscarelli let loose with the news that a new Phantasm was on the horizon, to the surprise of everyone. And so, we've been granted Phantasm Ravager, the fifth film in the series, directed by David Hartman, who also shared writing duties with Coscarelli. Hartman is an admitted "phan," he is primarily known for his work on several animated television series as a director and animator. As it turns out, Hartman was making Phantasm shorts in secret to continue the series, which was originally slated to become webispode content. Hartman had made enough that he and Coscarelli decided to combine them into a full-length feature. When you see the film, this will explain a lot, notably the shot-on-home video look and mostly amateur-quality CGI. At the Fantastic Fest screening, Hartman and Coscarelli stated that they didn't have a budget, and regrettably, that shows. As a "phan" myself, it pains me to have to share this. The action and the plot in Phantasm Ravager is varied and inconsistent, but it's still fun to see Reggie blasting away with his quadruple barrel shotgun, and even better to see the return of the 1971 black Plymouth Hemi 'Cuda, which probably ignited lust for that make and model the world over. I know Coscarelli still has his in his garage for safe keeping. Still, it's impossible to overlook the fun that you see all these guys having, and their hearts are all in the right place. The production was made little by little by a small group of people; truly an indie work. And while the plot has its issues, there's also a poignant moment with Reggie and Mike (A. Michael Baldwin) that was unexpected (and appreciated). Kathy Lester returns as the Lady in Lavender, reprising her role from the original Phantasm. Jody (Bill Thornbury) also returns,since Angus Scrimm (The Tall Man) has departed this world. I'm placing my bets on Lester continuing in the Tall Man's place for the next installment. 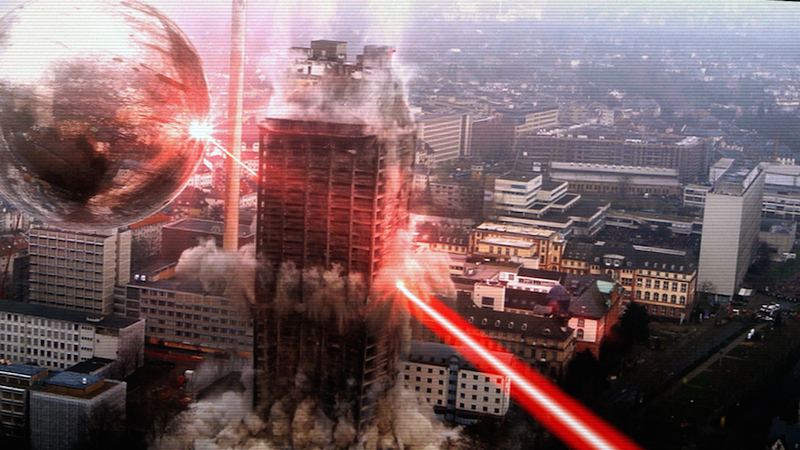 Yes, Phantasm Ravager has left the doors open for a possible continuation of the series. In the end, there is no one person or review that could ever dampen the enthusiasm and love that the "phans" have for this series. Check out the trailer for Phantasm below. This is a real lame " review"... lacks any real content. This is a real comment...lacks any real content. I agree with the reviewer, I felt it come as a fan film, but with the original cast, and I was totally right. Sad to see that I didn't for the film, but doesn't mean others won't like it, so check it out if you haven't. I don't care: with the passing of our man Scrimm, and with most of the original cast in this, this is the end of an era; disappointing or not, I'm gonna PAY to see the film, AND buy a copy when it's released.